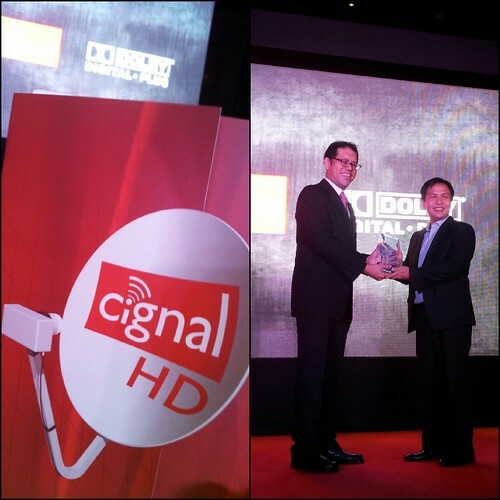 Cignal TV Is First in the Philippines to Enhance HD Experience with Dolby Digital Plus Surround Sound! 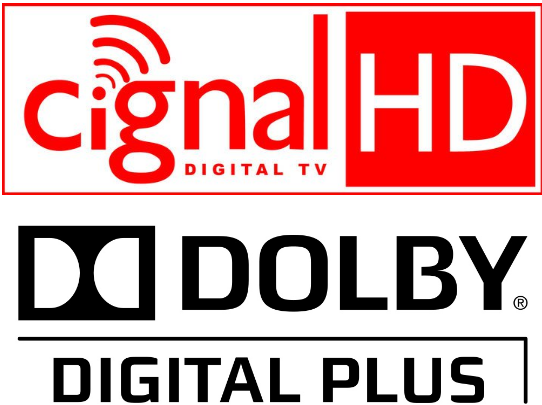 Cignal and Dolby® have partnered to give you the first Dolby® Digital Plus Surround Sound on pay TV in the country. Now, you can experience the cinematic sound in your own home. In photo: Cignal TV VP and marketing head Guido Zaballero presents a token of the partnership to Dolby Laboratories regional director for Southeast Asia Leong-Yan Yoong. Dolby Laboratories, Inc. recently announced that Cignal, a leading direct-to-home (DTH) pay-TV service provider in the Philippines that is owned by Cignal TV, Inc., a subsidiary of MediaQuest Holding, Inc., has selected Dolby® Digital Plus™ technology for three of its HD channels: Cartoon Network HD, MTV Live HD, and Universal HD. Currently serving more than 740,000 subscribers with channels including free-to-air, SD, and HD, Cignal will begin delivering cinema-inspired surround sound experiences to TV viewers with Dolby Digital Plus. Dolby Digital Plus unlocks the full audio potential of HD broadcast and ensures that consumers hear audio precisely as it was intended. Dolby Digital Plus is quickly becoming one of the leading broadcast audio standards for HDTV services across the globe, including services in Singapore, Indonesia, Thailand, China, India, and the Middle East. To date, Dolby Digital Plus has been included in more than two billion products worldwide, including TVs, set-top boxes, Blu-ray Disc & players, audio/video receivers, and mobile devices. "Cignal aims to provide the very best home entertainment experiences for our audience," said Annie Naval, the Managing Director and Chief Operating Officer Cignal TV, Inc. "We are excited to combine high-definition video with Dolby Digital Plus surround sound for high-definition content to help capture the excitement of the moment, making viewers feel as though they are living the experience." "We are honored to work with Cignal TV, Inc. to deliver viewers' favorite shows and events in Dolby Digital Plus surround sound," said Mr. Leong-Yan Yoong, Regional Director, South East Asia, Dolby Laboratories. "As high-definition broadcasts become more widely available for viewers in Asia, a market leader such as Cignal TV is setting the benchmark for a higher standard of home entertainment." Dolby Digital Plus has been adopted by the world's leading TV and set-top box manufacturers, as well as broadcasters and operators, to provide consumers HD-quality audio experience with full surround sound in a highly bandwidth-efficient single audio stream solution. 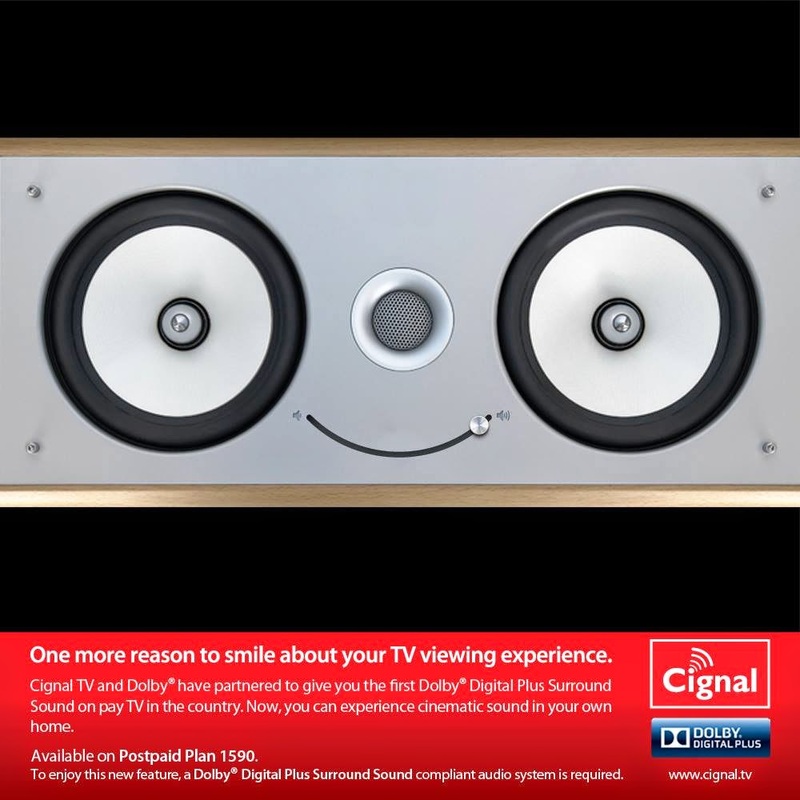 CignalDigital TV is the Philippine's premier DTH satellite provider. Launched in 2009, Cignal broadcasts to households and commercial venues nationwide using DBS (Direct Broadcast Satellite) technology. Cignal transmits 90 channels to date, which includes free-to-air, SD, and HD. It also offers on-demand service through its pay-per-view channel, and a varied mix of 10 audio channels. Cignal is owned and operated by MediaScape Inc., a subsidiary of MediaQuest Holdings, the media partner of the PLDT Group of Companies. As the media investment arm of the PLDT Group of Companies, MediaQuest is building new sources of revenue while developing media services to enhance and further strengthen the product offerings of the PLDT Group as a whole. It is also emerging as an innovator in the developing new media industry in the Philippines. In just five years of existence Cignal Digital TV has made significant inroads in the distribution and propagation of Direct-to-Home satellite television in the Philippines. Proof of this can be seen by the company achieving a milestone, more than 740,000 subscribers base.